SCOTTSDALE, Ariz. -In the heart of Arizona is a baseball mecca. 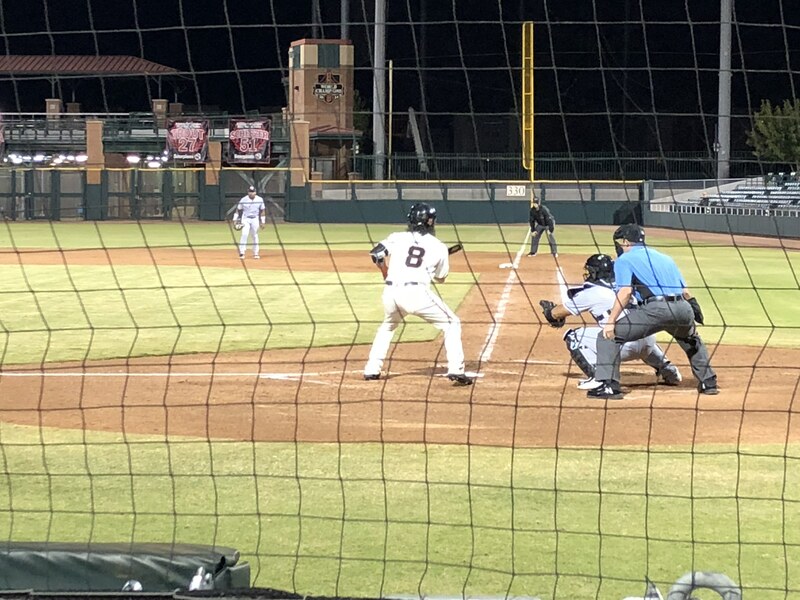 A hidden oasis in the desert, baseball diehards flock to the Valley of the Sun every October for the Arizona Fall League, a developmental league aimed at tapping into the potential of future big leaguers. Future superstars like Mike Trout and Max Scherzer have taken the field here, but Latino-American ballplayers are also present and making their presence known against some of the top talent from all 30 major league teams. Two Latino-American athletes shining in the desert this year are longtime friends C.J. Hinojosa and Tres Barrera. Hinojosa and Barrera, who are in the San Francisco Giants’ and Washington Nationals’ systems, respectively, were teammates at the University of Texas in 2014 and 2015, one of the few duos of former teammates in the AFL this season. Both Texas natives, they grew up on opposite sides of Austin from each other and, even though they lived five hours apart, they faced each other often while playing youth baseball at age 8. Soon enough, they would cross paths and become teammates at age 10 and stuck with each other through college. Now, they’re back to being in opposite dugouts this fall with Hinojosa playing middle infield for the Scottsdale Scorpions and Barrera playing catcher for the Salt River Rafters. “We grew up together and now we’re on one of the biggest stages in baseball. Where we come from, not many people can say that they did that and it’s just a blessing,” Barrera said. “[Barrera’s] one of my lifelong friends that I’ve made playing this game. It’s good seeing him out here. We’ve always played with each other, so now playing against each other will be kind of fun once we’re both out on the field,” Hinojosa added. Now two of the top talents in the minor leagues, Hinojosa and Barrera are taking very similar paths to the major leagues. They were drafted a year apart, with Hinojosa being taken in 2015 and Barrera in 2016, and separated by just one minor league level. Now both in the AFL, a league where prospects prime themselves for the bright lights of the MLB, Hinojosa and Barrera are one step closer to finally reaching the biggest stage in baseball. “We dreamed of this stuff as kids. When we first started playing baseball, our dream was to play in the major leagues. It’s just another stepping stone for both of us to get there and hopefully we can continue to do good things,” Barrera said. While baseball has ton of Latino talent, Latino-American athletes are not as prominent in the sport. Two of the more recognizable American-born Latinos in the bigs are Colorado Rockies slugger Nolan Arenado and Manny Machado of the National League champion Los Angeles Dodgers. Hinojosa and Barrera are two of the most promising Latino-American talents around. Each wear their heritage on their sleeve and show their gratitude every day. “[Being Latino-American] means everything. Not many are as fortunate to be doing this. We take pride and I know C.J. does too. It’s not only for ourselves but for everybody back home as well,” Barrera said. Now a step away from the big leagues, Hinojosa and Barrera are looking to inspire the next generation of Latino-American athletes just like them. “Every day I just come out and I’m thankful to continue to play. It gives me a chance to show other Latino-Americans that you can make it no matter where you’re from,” Hinojosa said.